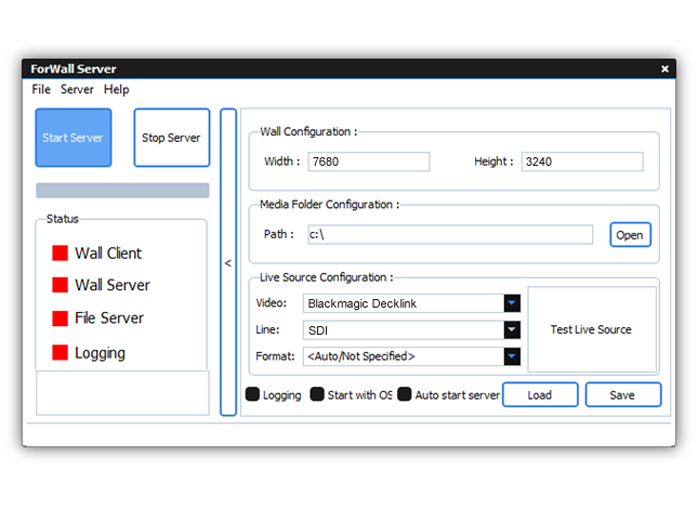 Forwall is a server-prompt based system that provides high definition for multi screen applications and enables to video plays with different width-length rates. It consists of 2 different products called ForWall Server and Forwall Client. It is designed for TV studios, conferance rooms and outdoor events etc. The system is controlled from an independant place where it is needed to manage the applications from away. It is easy to put live video source with requested width-lenght ratios to the requested place on the monitor. The user can form his/her own profiles and can record the requested video or live source before and call them whenever needed. 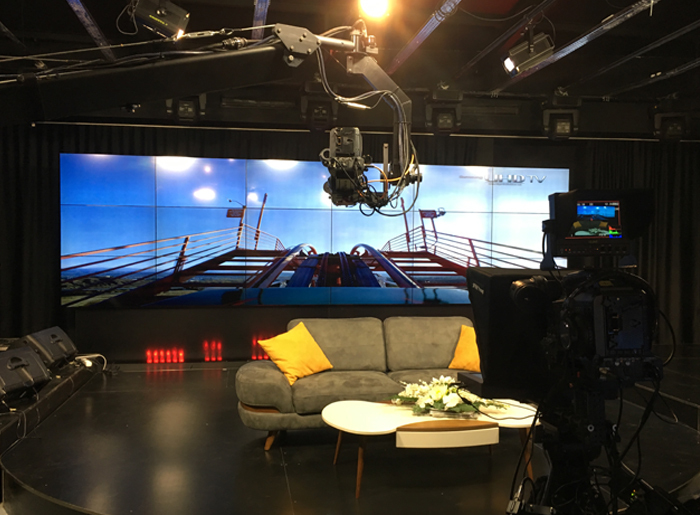 If we export a Full HD display into a 2x2 screen videowall with a proper width-length ratio, the videos inside the screen will be diveded and spread. Thus will cause you to get a view with 4/1 ratio. To solve this problem you can use a 4 exit Forwall sytem so that it is possible to play your 4K vidoes and get Full HD display on each screen. If we export a Full HD display into a 6x1 screen videowall which has an unproper width-length, the view will be divided on resolution base and it will be smaller than SD for each screen. Once a 6 exit Forwall system is used, then the view ratio will be 96x9 and pixel will be 11.520x1080. In this case you will have high quality of videos with desired width-length and resolution.